Tingala is the first spirit of its kind in the U.S., a liqueur made from flowers with a natural tingling taste. Savory, not sweet, handcrafted from real ingredients (no extracts), Tingala is a powerful and versatile way to invigorate cocktails. What makes Tingala special? Think of the thrill of first making eye contact with someone, the exhilaration of punching the accelerator of a frighteningly fast sports car, or the rush you get from the throbbing beat of music. The way something feels matters. It makes us feel alive. Tingala’s tactility enlivens the taste buds in an unexpected way and takes the flavor of mixed drinks from subtle to superb. Tingala gets its tingling taste from fresh acmella alba (spilanthes) flowers. These small yellow flower buds sometimes also are used as a cocktail garnish. The flower is a nearly petalless, inflorescent blossom. The plant is a member of the aster and daisy family. We selected the most delicious and intensely flavored varietal of this herb genus to use in Tingala. Safe and FDA approved, the fresh floret is known as buzz button, electric daisy, or Tingflower®. While sometimes referred to as szechuan button, spilanthes (acmella alba) should not be confused with the Szechuan, or sichaun, peppercorn used in Chinese cuisine. The szechuan peppercorn is a small black spice and has both a tongue tingling taste and spicy heat, whereas the fresh, yellow florets we use in Tingala deliver intense tingle and mild herbal flavor only, and no hot pepper taste. In addition to its use in Tingala, acmella plants are used as a culinary ingredient and medicinal herb across the southern hemisphere. Acmella botanicals are native to Brazil, where they also are known as paracress, bredes, or jambu. Our family makes Tingala in Denver, Colorado, handcrafting our product in small batches, using only fresh, hand-picked flowers and other all natural ingredients. Additionally, we use real cinnamon (a combination common to traditional European herbal spirits), a flavor that naturally complements the exotic tingling taste of the flowers. We co-pack with local bottlers to finish our product. Botanical to Bottle: We bottle Tingala liqueur at 50% ABV/100 proof in Denver, Colorado. Tingala uses fresh spilanthes (acmella alba) flowers flown to us overnight from U.S. growers, top-notch corn-based neutral spirits, natural crushed cinnamon, and pure Colorado water. Tingala is all natural and gluten free. Higher Alcohol brands such as Tingala have been moving into the mainstream in recent years. Used as a cocktail accent, or base or split base, Tingala brings classic American expression to cocktails while adding one-of-a-kind character. Tingala is higher proof to allow the best expression of its distinctive flavor, which also provides shelf stability for its fresh ingredients. We believe that today’s drinkers know that higher ABV (alcohol by volume) liquors add value. Our liqueur is intentionally LESS SWEET, using healthier dextrose. We don’t ask our customers to pay for added sugars. Compared to many traditional liqueurs that are laden with sweeteners, Tingala is lighter, making it a more flexible ingredient for use alone or in mixed drinks. Tingala’s higher ABV and concentrated flavor also help reduce packaging waste. While well known in other parts of the world, herbal-botanical tingling taste is relatively new to many Western palates. Decidedly not a neutral spirit, Tingala offers a modern alternative to traditional American drink choices. Used alone or as a cocktail ingredient, Tingala’s characteristic, delightfully tongue-buzzing taste develops in the first sips and lasts for several minutes. A natural plant compound found in spilanthes flowers delivers tactility by activating the trigeminal, or “touch” nerves. Spilanthes is known to stimulate salivation, opening up the taste buds, which can heighten the enjoyment of other tastes and textures, particularly in cocktails. Tingala’s flavor is evocative of fruits, citrus, and allspice. A savory, spiced liqueur, Tingala is made for mixing, offering new possibilities for modifying cocktails. Tingala is equally satisfying in both dry and sweet mixed drinks. It is best served at room temperature or slightly chilled. Tingala has a fragrant nose. 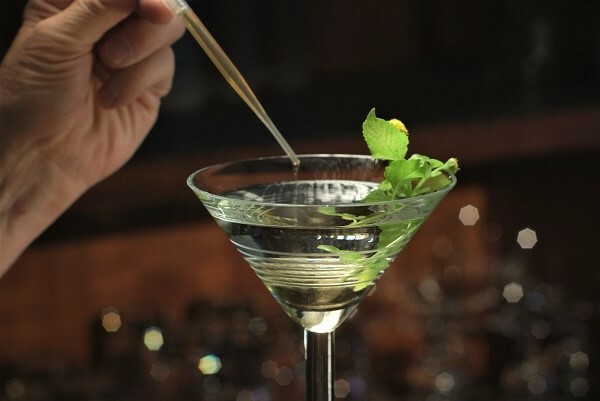 As a shot drink, add a splash of water or simple syrup, or serve 1:1 with a favorite spirit or mixer. Create a dramatic first impression for any cocktail by using Tingala as a float, rinse, or top spray. Nothing else tastes or feels like Tingala.